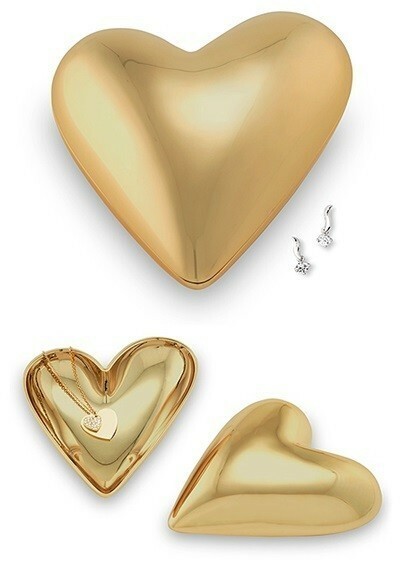 This modern gold-colored coated-metal jewelry box features a stylized heart design with smooth contours and a polished gold-colored interior. Non-personalized. Personalized versions are available separately. PLEASE NOTE: Pictured jewelry is not included.